Brampton East MP Raj Grewal returned to his seat in Ottawa Monday. The move came after he announced Friday that he would not be resigning despite a gambling scandal that got him kicked out of the Liberal caucus. “Over the past two months, I have taken some time away to focus on my health and receive appropriate treatment,” he wrote on Facebook. He credits the support and concerns expressed by his constituents as spurring his decision to return to federal politics. Federal sources pointed to the Casino du Lac Leamy, a 10-minute drive north of Parliament Hill, as the establishment where Grewal racked up millions of dollars in debt. 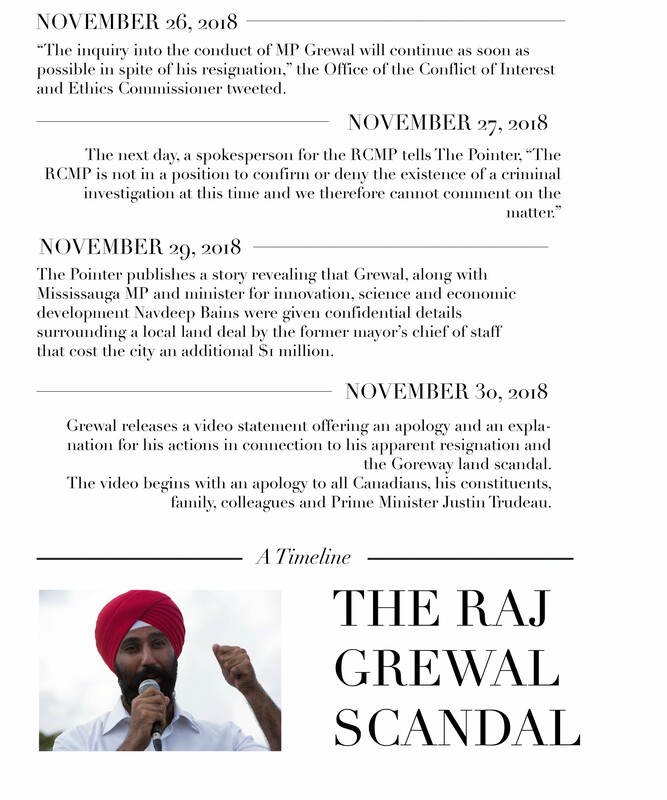 The RCMP had spent months, at that point, looking into Grewal’s financial transactions going back three years, after a complaint had been filed by NDP MP Charlie Angus following Grewal’s decision to invite a Brampton builder on an official trip to India in January of 2018, also attended by the Prime Minister and other Brampton Liberal MPs. 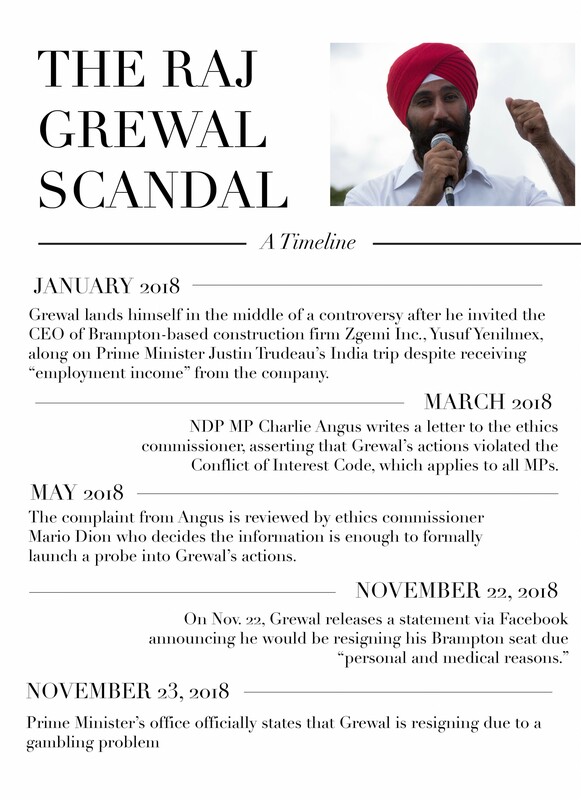 The gambling revelations came as the Ethics Commissioner was investigating Grewal for taking Yusuf Yenilmez, whose company had employed the MP, on the India trip. In November The Pointer learned that Hasneet Singh Punia, the chief of staff for former Brampton mayor Linda Jeffrey, gave confidential information about a land deal involving the City of Brampton to Grewal and Minister of Innovation, Science and Economic Development Navdeep Bains. Grewal said in a video statement, when he announced that he was reconsidering his original decision to resign, that he had repaid money to friends and family that he used to fuel his gambling problem. In the same video statement he said that Punia gave him the confidential real estate information “unsolicited” and the MP stated he did nothing with the information. It was reported that men with ties to the Liberal party eventually bought a property the city was trying to purchase from the Province of Ontario, and then sold it back to the city for about $1 million more than the city was originally set to pay the province. The men involved with the consortium that sold the land to the city denied any wrongdoing and said they received no information from Grewal or anyone else tied with the Liberals. Both Grewal and Bains vehemently denied any involvement with the land deal. Sources told The Pointer that the City of Brampton’s Council sent the whole matter to the RCMP for investigation because it was felt that since the RCMP was already investigating Grewal over his gambling, it would be prudent to forward the findings of a third-party investigation after council hired a Toronto firm to probe the unusual circumstances surrounding the land transaction. 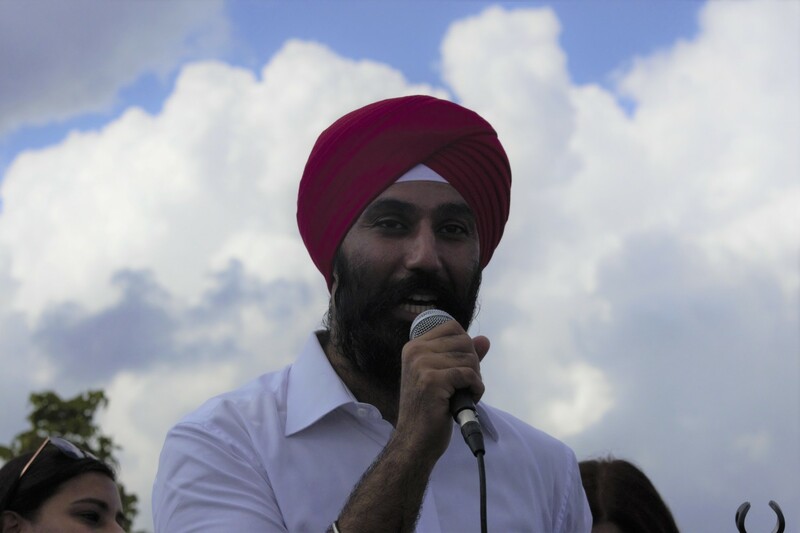 It is not known if Grewal will run in the upcoming October federal election. The RCMP is continuing its investigations into Grewal’s gambling and the Brampton land deal, while the ethics office looks into his involvement with the Brampton builder who went on the India trip. With election season now ramping up, answers will likely come soon.